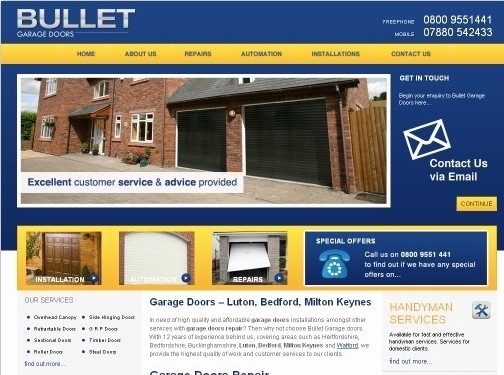 Bullet Garage Doors provide a service throughout Milton Keynes and the surrounding areas. They are able to offer repairs and installation services. UK (Dunstable) based company - established over 12 years ago - providing garage doors for sale. Website includes details of products and services provided, full company contact details.